Champion: The pattern of nucleated settlements and extensive open fields most commonly found within the landscape of the Midlands. This book presents a radical reinterpretation of the origins of villages and open fields, and their development in the late medieval and post-medieval periods, in the Midland, ‘champion’ areas of England. Most landscape historians believe that villages were created in the middle or later Saxon periods through the ‘nucleation’ of a formerly dispersed pattern of settlement, that many villages were initially laid out as planned, regular settlements and that open fields probably came into existence at the same time. Re-examination and mapping of the data suggests ‘nucleation’ is a myth, ‘village planning’ an illusion and open fields were created, at least in their classic, ‘regular’ forms, only in the eleventh or twelfth centuries. Tom Williamson is Professor in Landscape History at UEA and published 'The Transformation of Rural England: Farming and the Landscape 1700-1870' with UEP in 2002. Robert Liddiard completed a PhD at UEA in 2000 and has published on high-status landscapes in the Middle Ages. Tracey Partida is a consultant specializing in geographical information systems (GIS) and her PhD is in progress at University of Huddersfield. Illustrated with 64 pages of colour plates, this book concerns the origins of villages and open fields, and their development in the late medieval and post-medieval periods, in the Midland, ‘champion’ areas of England. 'It is here that many of the current orthodoxies of landscape history were first formulated, especially concerning the origins of nucleated villages and open-field agriculture, and the processes by which they disappeared in the course of the post-medieval period…’ Most landscape historians believe that villages were created in the middle or later Saxon periods through the ‘nucleation’ of a formerly dispersed pattern of settlement, that many villages were initially laid out as planned, regular settlements and that open fields probably came into existence at the same time. Re-examination and mapping of the data suggests ‘nucleation’ is a myth, ‘village planning’ an illusion and open fields were created, at least in their classic, ‘regular’ forms, only in the 11th or 12th centuries. Focusing on Northampton, but of national significance in its implications, this book presents the most detailed reconstruction of landscape and land-use in a medieval county ever attempted. It provides a radical reinterpretation of village and open-field origins and casts new light on the practice of agriculture, the development of open fields and the character of the enclosure process in the post-medieval period. Presents the most detailed reconstruction of landscape and land-use in a medieval county ever attempted. Provides a radical reinterpretation of village and open-field origins. Casts new light on the practice of agriculture, the development of open fields and the character of the enclosure process in the post-medieval period. CHAMPION: the pattern of nucleated settlements and extensive open fields most commonly found within the landscape of the Midlands. 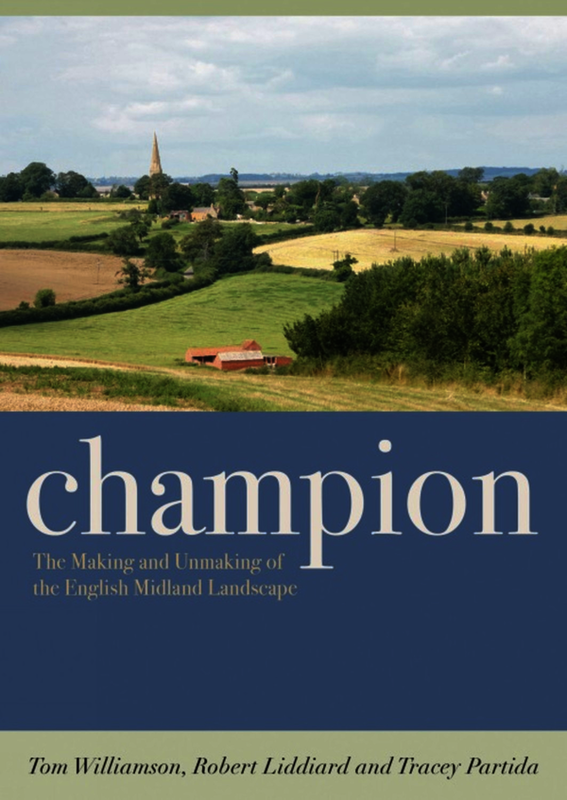 A masterpiece of scholarship…using the best documented part of the ‘champion landscapes’ of the English Midlands, the authors have tackled what is arguably the most contentious topic in landscape history, the origins and development of villages and fields. The subject has been studied by historians, archaeologists and geographers for well over a century. Yet, despite the huge amount of work on it, especially over the last 20 years or so, no consensus has been reached on almost any aspect. This book is a truly great piece of work that would considerably advance the history of villages and fields. This book represents the major output of a landscape project that, despite being focused on just one county, is undoubtedly of national significance. ... the review quote to use is 'A substantial contribution to the literature ... Few studying the subject will be able to ignore such a book. The work of Williamson, Liddiard, and Partida represents another landmark in the controversy, and our understanding and interpretation of the subject will not be the same again. Tom Williamson is lecturer in landscape history at the University of East Anglia and has written widely on agricultural history, landscape archaeology and the history of garden design. Robert Liddiard completed a PhD at UEA in 2000 and has published on high-status landscapes in the Middle Ages. Tracey Partida is a consultant specializing in geographical information systems (GIS) and her PhD is in progress at University of Huddersfield.